Happy Fall Y'all! I seriously have waited a whole year to say that! Fall is my favorite season of them all. The weather always feels amazing. You can actually get outside and enjoy yourself without burning up or freezing. I love the crisp cool mornings and all of the beautiful colors. I love Fall Fashion too. Fall clothing is just too cute! My very favorite thing to do in the Fall is go on scenic drives and photograph nature. 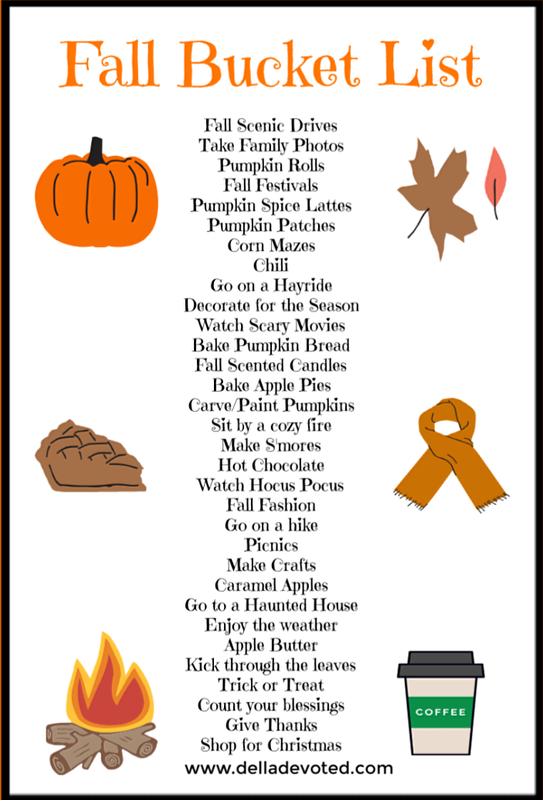 What is your favorite thing to do in Fall? There are just countless things to do during the season? So here is my Bucket List for this Fall to help give you some ideas so that you can enjoy the best season of all. Have fun!